Epicurean offerings are an essential part of any luxury cruise, from fine dining on board to culinary exploration ashore. But for the true gourmand seeking even more VIP food forays, a special selection of cruise experiences has garnered the official seal of approval from gastronomic giant Bon Appétit. Read on to discover three ways to join an exclusive guild of culinary connoisseurs on select sailings aboard Regent Seven Seas Cruises® and Oceania Cruises. 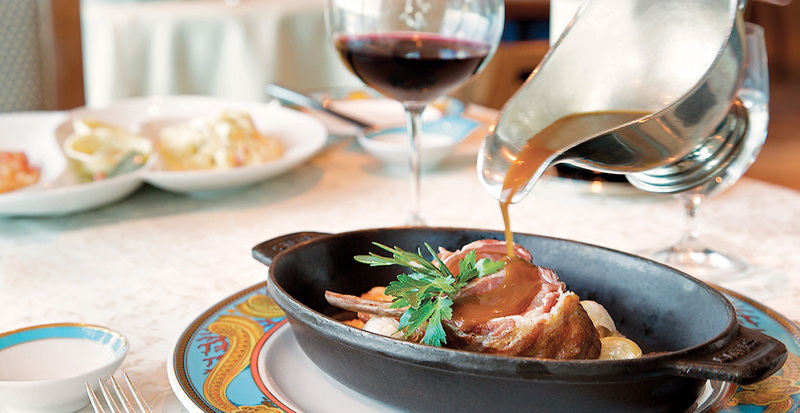 Learn to cook from a master chef in Oceania Cruises’ Culinary Center and pay homage to your ports of call. While sipping local wines, you’ll receive guidance in honing knife skills, rolling sushi and celebrating Mediterranean olive oils and fresh herbs within this hands-on cooking school at sea. Regent Seven Seas Cruises® will soon also reveal a state-of-the-art Culinary Arts Kitchen aboard the highly anticipated Seven Seas Explorer®, setting sail in 2016. Bring back the flavors of destinations visited to 18 individual cooking stations where you’ll receive highly-individualized hands-on instruction to expand your culinary skills. Master chef Jacques Pépin is the executive culinary director behind Oceania Cruises’ reputation for esteemed cuisine at sea. Elegance is the expectation when sitting down to European-inspired dinners in the Grand Dining Room, or sample Pépin’s signature French favorites — such as classic coq au vin — in his Jacques restaurant. For modern interpretations of Asian classics, Red Ginger serves exotic plates that surprise the palate. The hallmark of Regent Seven Seas Cruises® is the luxury of dining whenever, wherever and with whomever you choose in any open-seating restaurants which range from continental to contemporary cuisine. Romantic dinners at Compass Rose consist of Maine lobster tail followed by Guanaja chocolate soufflé, while La Veranda makes the most of ocean breezes with tables set al fresco. Regent Seven Seas Cruises® offers complimentary shore excursions that are as endless as your appetite: visit a vineyard in Bordeaux to taste the eponymous vintage or try it paired with a tasting lunch at Château Pomys, located in the Saint-Estèphe region. Or in port at Penang, tour the Tropical Spice Garden before dashing freshly harvested herbs and seasonings into Malaysian dishes during a cooking demonstration. 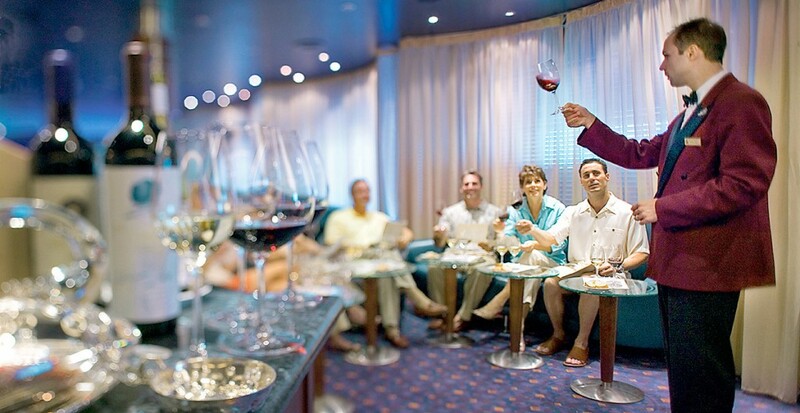 Sample a slice of local life with Oceania Cruises’ Culinary Discovery Tours. Foodies will rejoice in the tropical tastes of Honduras, harvesting hydroponic lettuce for use in your lunch and meeting local fishermen who share their three favorite preparations of shrimp. Perfect for those who have a passion for the intersection of food and travel, our exclusive Bon Appétit endorsed sailings include extra benefits that serve up the best of culinary offerings aboard Regent Seven Seas Cruises® or Oceania Cruises. Book now to chart a course for the tastes of French terroir or to find tantalizing flavors in Italian ports on a culinary voyage.